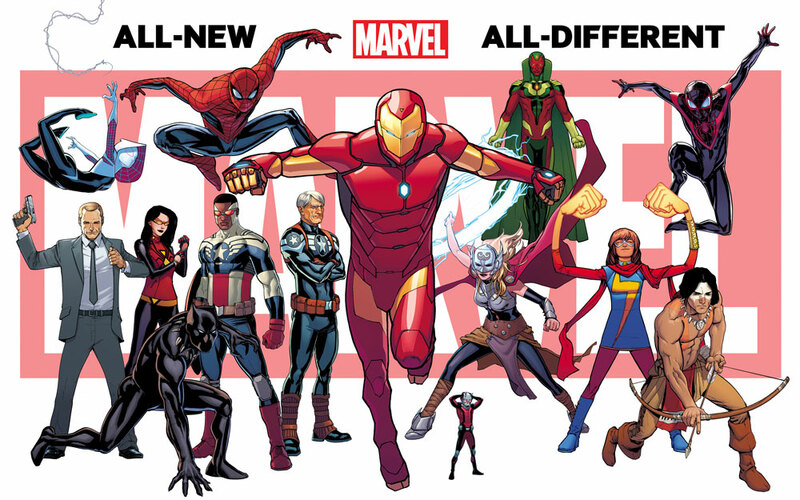 All-New All-Different Marvel Comics & December 2015 Solicitations Spoilers: Post Secret Wars 2015 Series To Expand By At Least 6 More For A Total Of 62?! 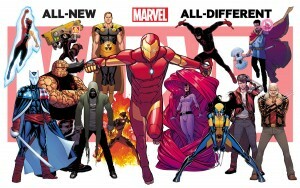 Marvel Comics has had a gang buster of a last months revealing its post Secret Wars 2015 All-New All-Different Marvel branded new ongoing series; approximately 55 to 60 titles will be under this ANAD Marvel umbrella between September 2015 and February 2016. During San Diego Comic Con (SDCC) International 2015, Marvel executives also revealed 15 ongoing series to retailers without creative teams. 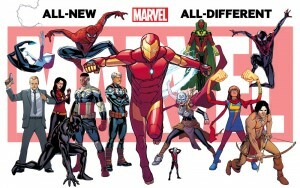 Marvel also rolled out two much debated and dissected teaser images with a collage of characters associated with, at the time, ongoing series that had yet to be announced (see above and below). 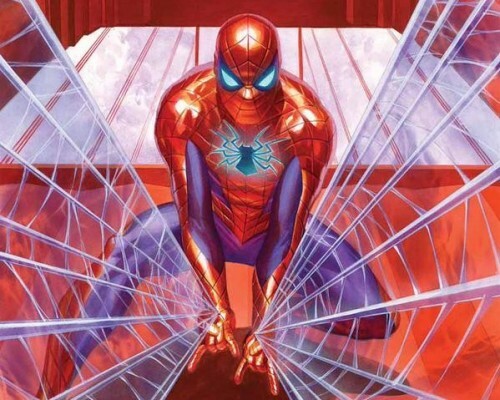 Spoilers follow including Marvel Comics December 2015 solicitations. 4 more new series to round-out December 2015’s new Marvel ongoing series. 4 new series to launch between October 2015 and November 2015. That leaves us with 56 series announced so far. Perhaps a solo Mockingbird series at some point too? 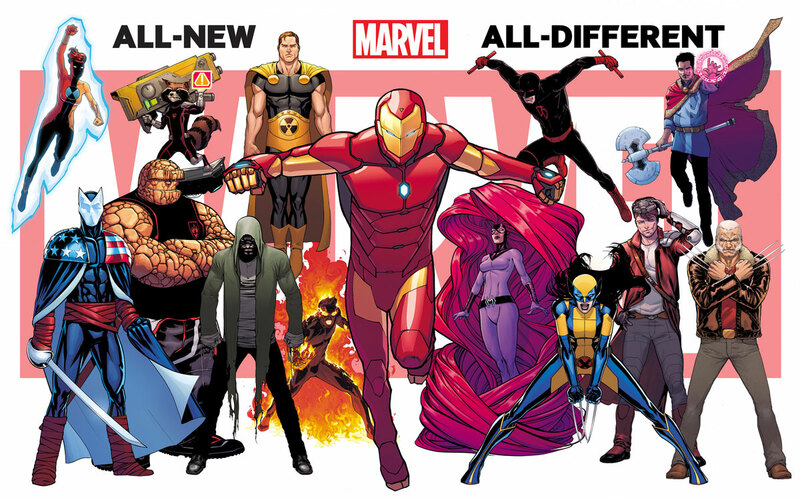 So it appears that the All-New All-Different Marvel Comics new ongoing series released between September 2015 and February 2016 will at least total 62 new books; ten (10) more than DC Comics pre DC You branding of the New 52. Deliberate? Perhaps. Plus, what about the teased new Alpha Flight and Captain Britain series during Fan Expo 2015? 64 new ANAD Marvel series? Lots more to come with January 2016 and February 2016 Marvel solicitations to come.